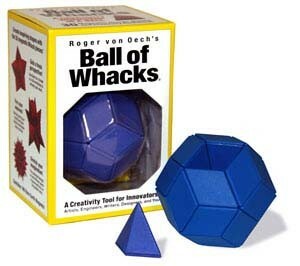 The Ball of Whacks is the perfect creativity tool for innovators, artists, engineers, writers, students, and you! It's a creative stimulant and a mental freshener! 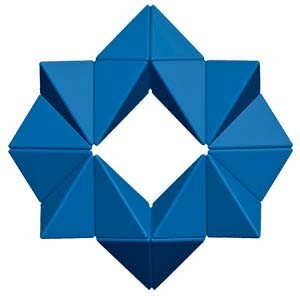 Awarded US Patent 7,247,075. 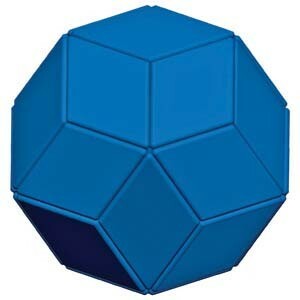 The Ball of Whacks® consists of 30 magnetic design blocks that can be rearranged into endless different shapes — including the beautiful 30-sided rhombic triacontahedron. 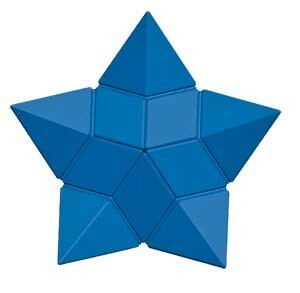 More versatile than a puzzle and lots more fun than a brain teaser. The Ball of Whacks comes with a 96-page illustrated creativity guidebook that provides you with tips, stories, exercises, and insights into the creative process. 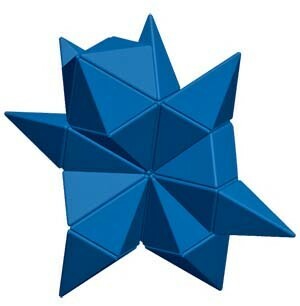 Each individual piece of the Ball of Whacks is a "golden ratio" rhombic pyramid. 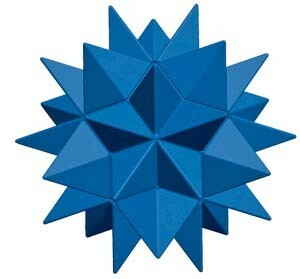 Held in place by 180 rare earth magnets, these design blocks fit together to form a perfect 30-sided rhombic triacontahedron — geometry's most beautiful shape. Available in Red, Blue, Black, and Multi-Color. Get all four!